If the thought of launching from hills, cliffs or sand dunes with little help from those on the ground is appealing, you need to read the Dec/Jan issue of S&G. In it you can find about an expedition launch system that costs less than £1,000 and can fit in the back of your retrieve vehicle. If you are looking to acquire new cross-country flying skills, we have top tips from two coaches on how you can start really going places. 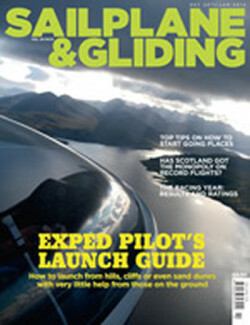 The issue also features tworecord flights from Scotland and the annual round-up of results and ratings. Pete Whitehead’s launch system is ideal for experienced expedition glider pilots looking for spontaneity, to be able to go when the conditions are right and aiming for 100 per cent success. He developed and perfected launch methods using his bungeys and modified autotow system while expedition flying in the northern Lake District and Yorkshire Dales. Pete’s article includes comprehensive lists of what you need for the bungey system and modified autotow system, with detailed descriptions on use. The sort of flying Pete is talking about is at the challenging end of the spectrum, but if you are looking to acquire or improve cross-country flying skills, the second article in S&G’s Ask the Coach series is essential reading. Tony Cronshaw asks two leading coaches – Bernard Eckey and Kevin Atkinson – for top tips on how to start going places, including how to choose a route and what speed to fly between thermals. Read and absorb that valuable advice and then set your sights on matching (or beating) the outstanding record flights achieved from Portmoak on 10 September by Santiago Cervantes and John Williams. Santiago was struck by the difference in the two pilots’ perspectives of the same day and has used their reports as an indication of therecord opportunities that are available in this land of wave soaring opportunity. So does Scotland have the monopoly on British record flights? Now the LAPL medical is becoming established, pilots are starting to think seriously about conversion. Dr Frank Voeten is the BGA LAPL medical adviser and has written an article for S&G offering advice on the steps required to get your LAPL medical certificate. Is licence conversion a painful process? 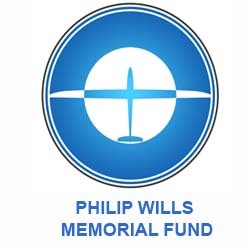 You can find out with feedback from a selection of glider pilots with new EASA medicals and licences. 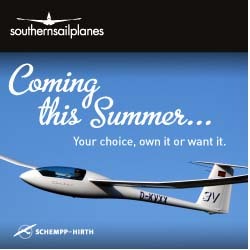 Also in this issue: Tim Scorer offers top legal tips to those buying or selling a glider. Shaun Lapworth talks to theteam at LXNAV responsible for some of the most advanced soaring instruments available today. Julia Robson reports from the inaugural cadet soaring competition at Bicester. Charlie Jordan, Matt Davis and Oli Barter share their experiences from the Junior Worlds in Poland. Mike Bond explains how he won the Northerns at the age of 70, twenty-five years to the day that he last lifted the cup. There are four pages of results from BGA-rated UK competitions, plus the announcement of the BGA provisional ratings list. Neil Frost reviews Jim Richards’ book The Road to Narromine. Bruce Stephenson reports on the last two events in the 2013 vintage season. Dr Tony Segal reflects on his early investigations into energy-absorbing safety cushions. Last, but not least, there are many more of your stunning images in the Gallery pages. Time to buy or sell a glider?